This can be a call to order or a simple ceremony. A patrol member can be assigned to research a ceremony to lead that the patrol can later use for a troop meeting ceremony. Scribe reads the log of the last meeting. Patrol Leader announces the purpose of the current meeting and discusses the weekly plan and program. Discuss the Patrol Leader’s report to be given at Patrol Leader’s Council Meeting (once a month). This should include advancement or skills needs and opportunities that should be passed along at the PLC Meeting. Practice a Scouting skill that will be needed in the future or continue to work on skills learned earlier in the troop meeting during the time of skills instructions. Play a Scouting game related to the skills learned. Use a brief closing thought by the Patrol Leader or other member of the patrol to end the meeting and remind scouts of the importance of what they are doing. Each program feature provides detailed information on four weekly meetings, a monthly highlight activity, advancement requirements that can be satisfied, and some good skills suggestions. exciting, not dull and boring. 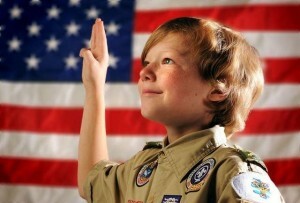 Troop: A Scout is trustworthy. Senior Patrol Leader: A Scout tells the truth. He keeps his promises. . . .
2. The Scout Law is recited by all new Scouts. 3. The newest Scout and the oldest Scout lead the troop in reciting the Scout Law. 4. One point of the Scout Law is assigned to each of 12 boys. Each boy, in turn, takes a step forward, salutes, recites his point of the Law, and steps back in line. 1. Call the troop to attention. All Scouts give the Scout sign and recite together the Scout Oath and Law. Scoutmaster/Senior Patrol Leader: A Scout is trustworthy. Scouts: A Scout is trustworthy. Continue through all 12 points of the Scout Law. 1. Salute the troop flag. Give the troop yell or sing the special troop song. The following pre-opening activities should be set up well in advance of the meeting time so that early arrivals will have some constructive, challenging and fun activities to do while the remainder of the Scouts arrive prior to the start of the meeting. These types of activities can be done no matter what time the Scouts arrive. The activities should cease as soon the meeting is ready to be started. Have rope available and have the boys see who can tie the bowline the fastest. Make sure they learn how to tie the bowline from around their waist as though they were being rescued. At the end of the meeting, give an award to the Scout who can tie the bowline the fastest. To add a degree of difficulty, have the Scouts tie the Bowline one-handed as if they were holding on to a floating log or a cliff face. Arrange to have an “expert” demonstrate an important scouting skill or tradition to the scouts as they arrive. Try to have some “hands on” involvement during the demonstration. Is it Edible or Not? Have a table filled with various edible plants. Let the Scouts taste them if they want to. Make sure each plant has a name plate with it. Show pictures of poisonous plants with names. Responsibility for the conduct and content of a troop meeting falls to the scouts themselves. 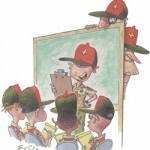 Troop meetings are planned well in advance by the senior patrol leader and the patrol leaders’ council (PLC). Each troop meeting should have been planned the previous month at the meeting of the patrol leaders’ council and should assign specifics to the yearly plan created during the annual planning conference (usually conducted in early August). The senior patrol leader will have assigned patrols and individuals to take care of portions of a meeting, giving as many Scouts as possible the chance to contribute. The seven-part troop meeting plan provides the framework for efficient, well-run meetings. The seven-part plan for troop meetings is an important guide, but use flexibly. The times noted in the plan are suggestions only and can vary to fit various situations. 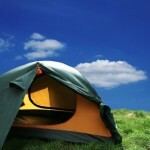 For example, the troop may be getting ready for a camp-out. The usual amount of time set aside for patrol meetings might be expanded to allow Scouts time to complete their patrol camping preparations. A troop nearing the date of a district camporee may devote extra time to skills instructions so that everyone will be ready for activities involving the theme of the camporee, and the interpatrol activity can include an extended competition that also focuses on the key skills. When the minutes allotted to one part of the troop meeting plan increase, consider shortening other portions of the plan. Every troop meting should be interesting and useful, and it should begin and end on time. As Scouts begin to arrive for a troop meeting, a patrol leader or an older Scout assigned by the senior patrol leader should get them involved in a preopening game or project designed so that additional Scouts can join as they show up. The preopeing is often well-suited for the outdoors. Those in charge of the preopening activity should be ready to start about 15 minutes before the scheduled beginning of the meeting. Varying the activities from week to week will keep the preopening fresh. Scouts whose patrol has been assigned to serve that week as the service patrol should use the preopening time to prepare for the troop meeting. The meeting room may need to be rearranged, chairs set up, flags displayed, and other preparations completed before the meeting can begin. Call the meeting to order on time, instructing Scouts to line up in formation by patrol. The patrol responsible for the opening ceremony may conduct a flag ceremony and then lead the troop members in the Scout Oath and Law and the Pledge of Allegiance. This portion of the meeting is devoted to the mastery of knowledge that Scouts need to participate fully in an upcoming activity, or upon skills they must learn to complete advancement requirements. The skills to be taught at each meeting will have been determined in advance by the patrol leader’s council. Often the skills will relate directly to the month’s program plan for troop activities. Instruction should be hands-on learning rather than lecturing. All skill instruction should follow a simple process called the Teaching EDGE. First the skill is explained, then demonstrated. Then the learner is guided as he tries the skill. Enabling, the last E in EDGE, means creating an environment for the trainee to continue to be successful (like providing an opportunity to practice and use the skill). Those who may be effective in teaching skills are the troop guide, instructors, junior assistant Scoutmasters, assistant Scoutmasters, and members of the troop committee. 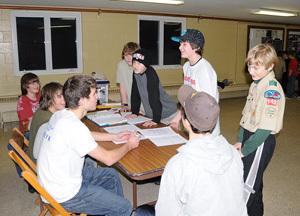 Older Scouts and members of the Venture patrol also can be effective instructors, though at most meetings they will be involved in their own activities. Be sure to ask those leaders who you which to conduct the skills training as soon as possible after the PLC meeting. Each instructional area should be separated from the others so there are no distractions. End skills instruction on time and ask patrols to go their patrol areas for their patrol meeting. Patrol leaders will take charge of the patrols. Matters to be dealt with during a patrol meeting include taking attendance, collecting dues, planning the patrol’s involvement in upcoming troop activities, selecting menus for hikes and camp-outs, assigning patrol members to specific tasks, and working out any other details for the smooth operation of the patrol. Circulate among the patrol meetings and be ready to serve as a resource if a patrol leader asks for your assistance. If you notice that patrols have completed their work, call the patrols back together and move on to the next part of the troop meeting. You or someone appointed by you can lead this opportunity for the patrols to interact with one another in a competitive or cooperative effort. The activity might be a game that will test the skills the Scouts are learning for an upcoming activity like pitching tents or tying knots, for example. Troop Program Resources has a wealth of games that foster friendly teamwork and competition,. The BSA manual Project COPE, No. 34371, also contains many appropriate games and challenges. The closing of a meeting is the Scoutmaster’s opportunity to step forward. Ask everyone to sit quietly, then turn the meeting over to the Scoutmaster for reminders and announcements about upcoming events, and support of the patrols for their achievements and progress. The highlight of the closing will be the Scoutmaster’s Minute, a brief message built on one of Scouting’s values. As the concluding thought of a troop meeting, the Scoutmaster Minute is a message each person can carry home. Ask members of the patrol leaders’ council to stay a few moments after the closing to discuss with you and the Scoutmaster the quality of the just-concluded meeting. Offer praise for portions of the meeting that went well, and talk about ways that future troop meetings can be improved. Make a few written notes so that suggestions can be explored more fully at the next patrol leader’s council meeting. What should we start doing that would make the meeting better? What should we stop doing that didn’t work for us or got in the way? What should we continue doing that worked well for us? This is an important question because it helps us identify our strengths. Finally, review the troop meeting plan for the next meeting and make sure that everyone who will have a role is aware of the assignment and is prepared to do a good job. To more smoothly integrate the Troop Schedule with other parts of BSA, here are some resources for coordinating plans. Boy’s Life Planning Calendar – notice the BSA year begins in September. Welcome to the new Troop 142 website. The new website will have areas of varying dynamic content. The most frequently updated area is here… the “News” section. 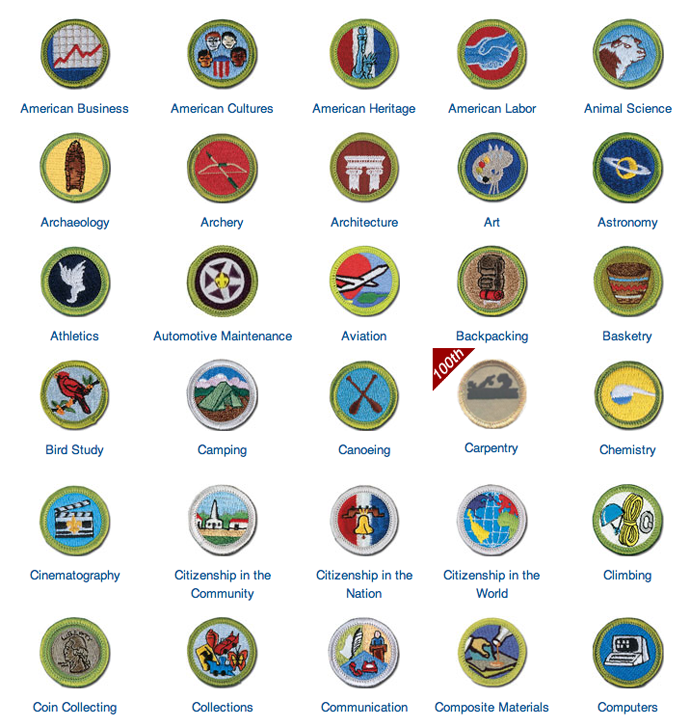 This section also contains the patrol webpages which are created and maintained by the scouts. 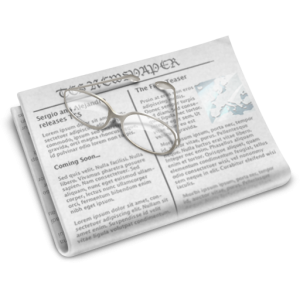 The news posts are gathered from “contributors” who author the posts and submit them for review. The posts are then “reviewed” by an “Editor” who then publishes them. 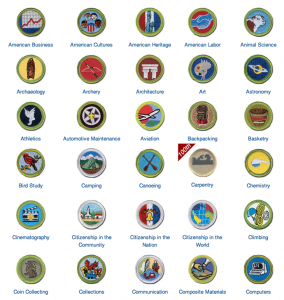 The contributors can be Scouts, Parents, Committee Members, or Scoutmasters. The visibility settings for every post can be customized to be viewed by the public, those who have a secret password, or only by registered users. The next most active area of the website will be the “Home” page. Here you will find quick access to upcoming events, top level site navigation, and links to adventure resources. There is also a link to the “Old Site” in case there was something you need there that has not yet been updated on the new pages. This website will improve with the accumulated contributions of all involved in Troop 142. If you have ideas, content to contribute, or suggestion then please leave a message on one of our many comment sections.